New and very cool addon that adds a gravity gun from the popular game! 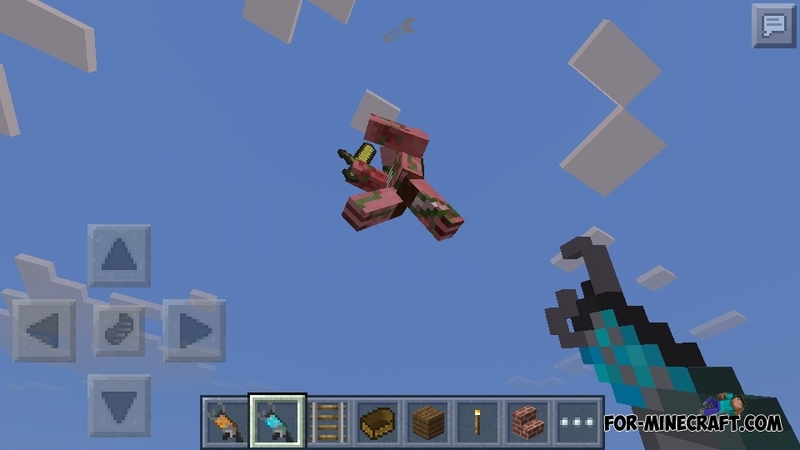 Currently, two guns available, which can be used for lifting mobs in the air, and you can to shoot them. Now the gun can break the blocks. Added Supercharged Gravity Gun - Crafting: 1 diamond, 4 glowstone dust, 2 iron, 1 hell reactor and 1 obsidian. The addon is now more balanced in survival. Usual Gun picks up animals and spiders. Super Gun can picks up everyone. Make it possible to picks up the boat / minecart. Make it possible to picks up the blocks. How do you download I'm new!? !